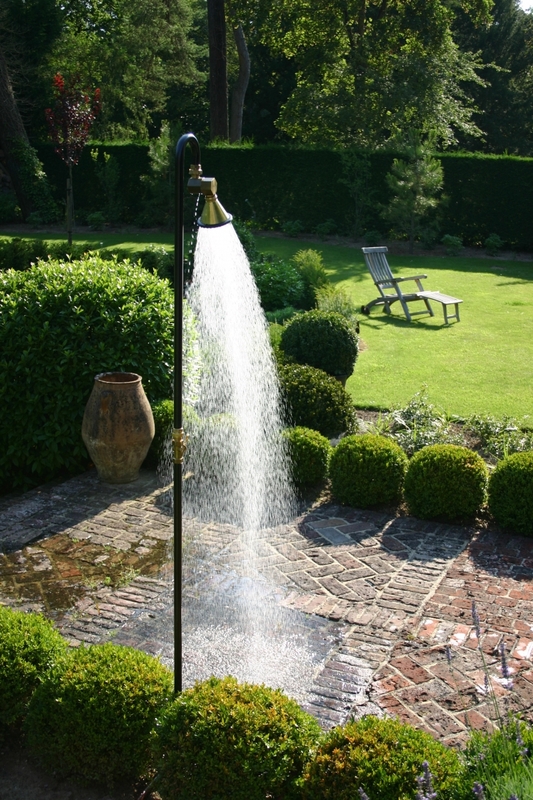 Fieldshow’r is a mobile outdoor shower made out of galvanized and powder-coated iron tubes and a stainless steel spear and pedal. 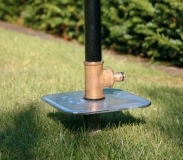 The spear & pedal helps you to firmly plant the Propel’r in lots of soils of your choice. 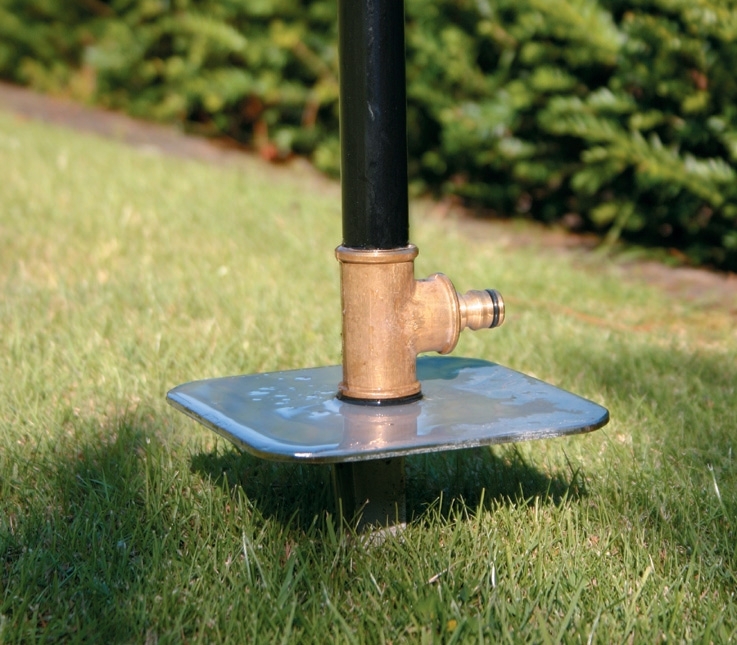 All the connectors, tap and showerhead are brass. 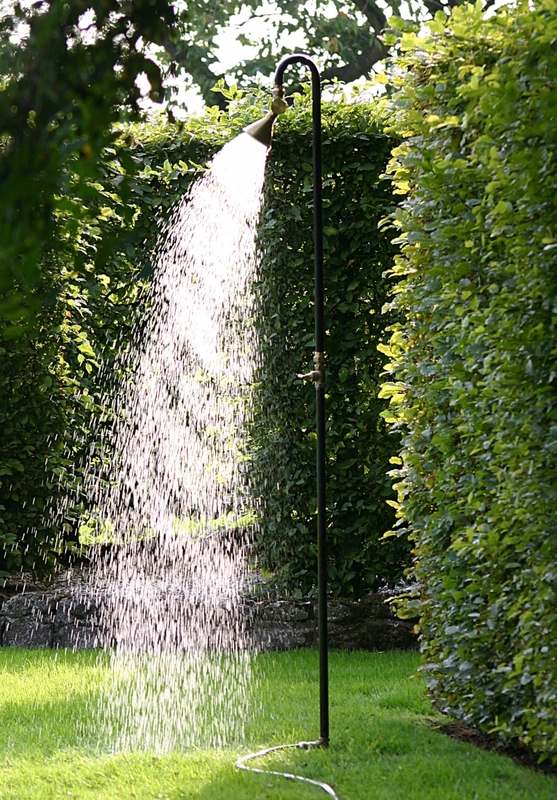 Just click your garden hose to the standard quick connector in at the base and the your garden shower is ready. 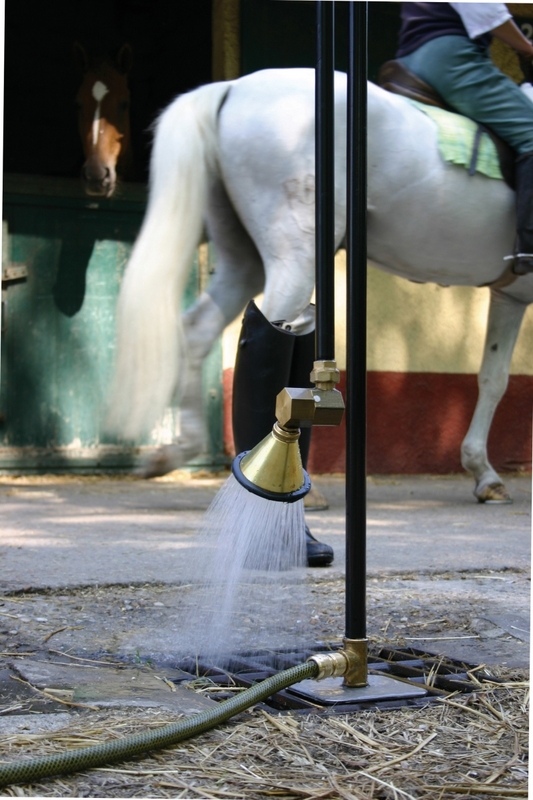 Fieldshow’r is also easily dismountable and can be transformed in a boot-shower. 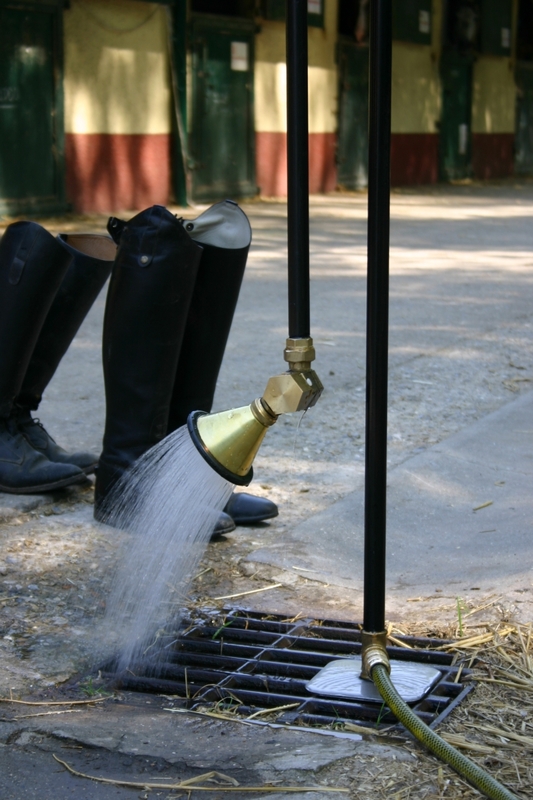 The showerhead comes downside and boots and wellies can be rinced rinsed in comforteasily.